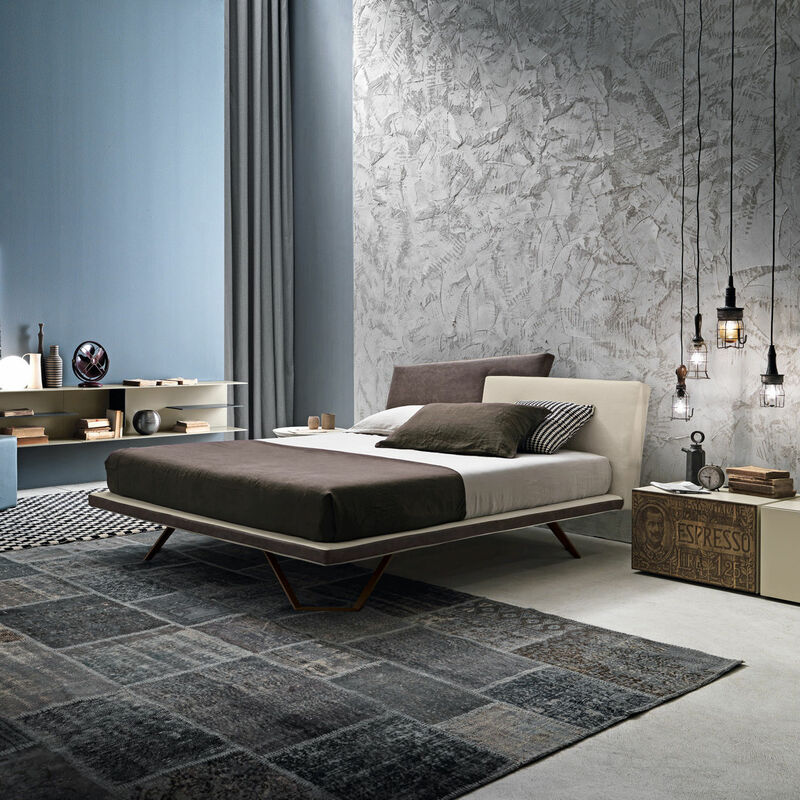 The upholstered bed Meeting is a modern and harmonious combination of shapes that adapt perfectly to any space : the fundamental elements of Presotto's design can be seen at a glance: simplicity, clean lines, elegance and also practicality offered by the integrated slatted base. 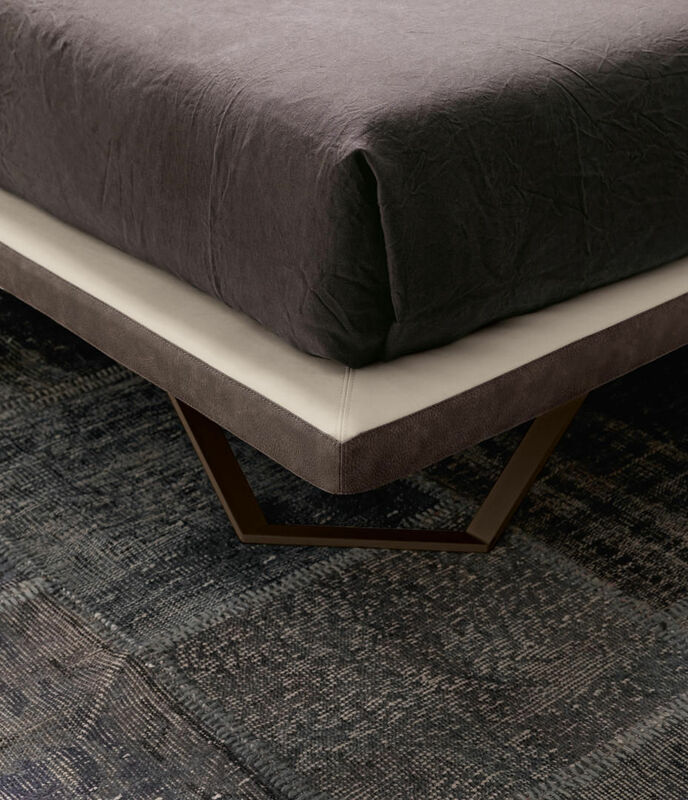 The headboard is the distinguishing element, deconstructed into two primary shapes, two trapeziums that fit into each other. 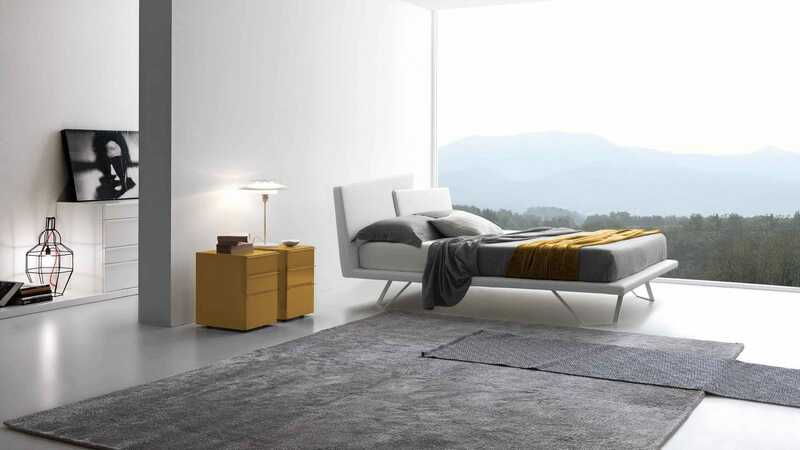 The upholstered structure of the bed has a removable cover and it is available both in a single or double colour. 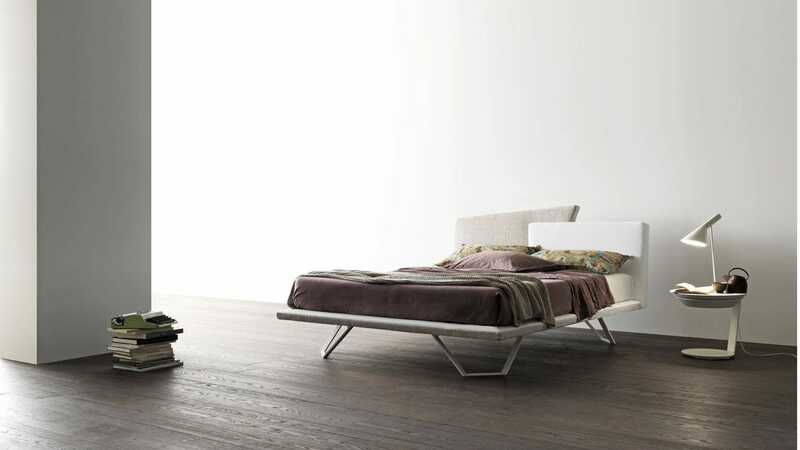 Various supports are available: sledge, with metal feet or the innovative transparent methacrylate panel with optional lighting.The meeting_up version has a vertical bed frame and can also have a storage unit.